As a freelancer you’re your own boss, and that entails a lot of mundane tasks that require good judgement on how you go about doing things. It’s really important to learn how to be a successful freelancer if you want to carry out through the rough and tough times. Some of these tips are going to appear as common sense, but they may be the reminder you need to refine your work process. I hope you’re able to pick some value in these tips, no matter where you’re at with your freelance career. Should you always have a client sign a contract, even if it’s a small job? How do you put together or find the right contract for each job? Too many freelancers get caught up in the details of contracts, and it’s ultimately wasting a lot of time that should be spent making money. the work that you produce is original and not plagiarized. the client’s proprietary information stays confidential. you and the client has the right to terminate the services, and what that entails for you both. Having some basic terms in place for every project will help protect you, but more importantly, will help inform the client of how you work. Once you have your contract, your client can then physically print, sign, and return, or digitally sign. I’m not a legal professional nor does the sample above cover every situation. If things are starting to take off and you’re making large amounts of money from a single project, then you might want to get a legal professional involved to craft a specific contract for the job. One of the biggest issues you hear about freelancing is not getting paid on time or getting stiffed by the client. I’ve luckily never experienced this, but that’s because I follow a simple process when starting a project. To guarantee payment 100% of the time, you must require a down payment. For all projects I take on, I require 50% upfront before I start any official design work, and I make this clear to the client in our preliminary discussions and in my contracts. If the client has an issue with this, then that should raise a red flag. Also, by requiring a down payment, the project doesn’t progress without it, so you’ll never risk a late payment again. Once I’ve received the contract signed and down payment, I’m good to go on starting the work. Then before I deliver any workable files, I require the final 50% payment. I do this so the client doesn’t take what I’ve created, cancel the project, and run. So before you’ve fully been paid, don’t send any master files or designs in full resolution. By putting these simple practices into your process, you can guarantee that you’ll never be ripped off. Saying no is hard, especially if you’re like me—you’re generous and want people to feel happy working with you. You don’t want to disappoint anyone, so you offer to help any way you can, not really considering the strenuous load it’ll put on you. Why am I adding that project onto my plate? The worst thing about taking on everything that comes your way is that your plate may end up full, but with all of the wrong commitments. You’re stressed, anxious, and the worst part, now you’re left with no room to take on that golden opportunity. You can’t say yes to your ideal client if you never say no to the wrong ones. Next time you get a project, don’t just reply with a yes. Really consider the opportunity, ask yourself those questions above, and proceed with a conscious decision for your future and wellbeing. If you’ve followed my writing for a while now, you’ll know I share quite frequently about focusing your freelance business and the importance of it. I continue to share this tip because I regularly get message after message from freelancers who seem to be stuck. They can’t find enough work and they struggle getting their name out there. By focusing your brand identity and the type of projects you take on, it’ll make everything much easier for you—from marketing to doing the actual design work. Pick one or two services to specialize in, and only take on work that falls into those categories. Then turn down the rest. Once you’ve decided on the services you now specialize in, be sure to translate that in your brand. Reword everything on your website to those keywords and phrases, only showcase that type of work in your freelance portfolio, and start producing content around those services to prove your expertise. 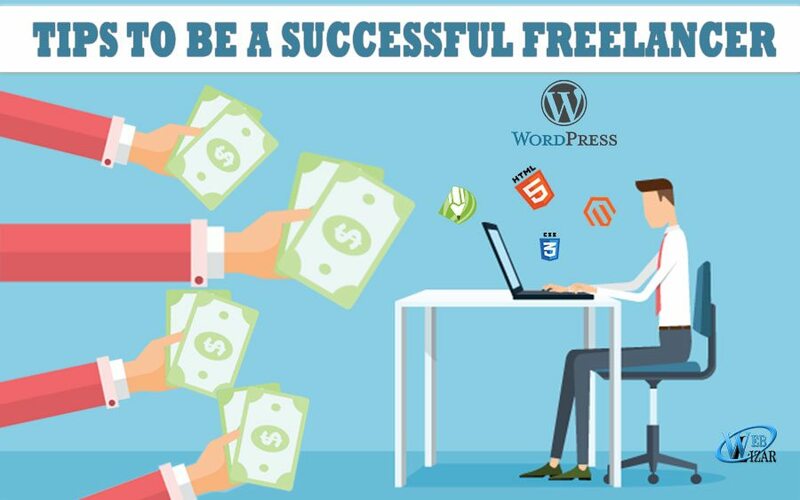 All of this is a byproduct of marketing, which in turn will drive traffic and new freelance projects your way. This tip goes hand in hand with the previous tip of focusing your freelance business, but I think is a topic worth elaborating on. Many freelancers make the mistake of filling their portfolio with work just to show that they have some sort of skill in design. But most often, the work just comes off as all over the place, and will only do your portfolio a disservice. There’s a difference between a freelance business portfolio and a school portfolio. Your freelance portfolio should only contain the work you specialize in and want to continue accepting via client work. The work can consist of past client work or even personal work. Let’s say you specialize in logo design—if that’s what you want to be known for then you should only showcase logo projects in your freelance portfolio. That’ll be what attracts and helps future clients decide to go with you over another freelance designer whose portfolio might be all over the place. As a freelancer, your business is just you running it inside out. That’s something you must be proud of, so don’t hide behind a facade. Be the name and face of your business, because your business is you. From a client’s perspective, if I were to hire you to provide a service, I would want to know who I’m giving my money to. So be sure to inject who you are into your brand. You can shape that however you’d like, but the key is to be more human. Also, when a client is interested in working with you, be transparent in conversing with them. If they’re going to hire you, explain to them how your process works. Show your interest in them and their business, then break down what they can expect by working with you step-by-step. This helps build trust and confidence, and can be what seals the deal in the proposed project. This is the most important tip I can give you to take your freelancing to the next level – and that’s to write. I don’t care if you don’t think you’re a good writer. Writing is the doorway to getting your name out there, having clients find you, and to truly grow yourself as an individual and freelancer. I personally don’t think I’m a great writer, and you can only imagine how I felt about my writing a year ago. It comes with practice. I owe everything I’ve accomplished this past year to my writing. Everything I do—whether it’s a blog post, a newsletter, a book, a video, or an email to a client—it all starts with writing. 8. Live In Present, Forget The Past, Plan For Future! Watch your feet so you don’t trip while looking at the end goal. You know where you want to be one day, so focus on what you can do now to end up there. Too many freelancers get hung up on envying those they aspire to be. If you wish to have a reliable client base, a product that can help supplement your income, or if you don’t want to have to rely on a single client to make a living, then what are you doing today to make that happen? Make a daily to-do list with small tasks that you can easily complete by the end of the day. Progress is progress, and if you start taking it one step at a time towards your long term goals, the sooner you’ll get there. Knowing these numbers will shed light on the areas that are working for you and what areas need improvement. For example, take a look at your monthly revenue. Find out where your business income is coming from (what clients, type of projects, passive income), and focus more on those areas that are producing the most results. If you’re steadily earning $100+ a month selling products on your Creative Market shop, then consider producing more items to sell. See where most of your traffic is coming from or what type of content is most popular, then do more of that. For example, if you’re getting a lot of traffic from a guest post you wrote, reach out and write another guest post. These tips aren’t the end-all and be-all for freelancing, but honestly, I wish I knew these when I was getting started. Since I’ve put these tips into my work process, I’ve seen some major growth, and I hope you were able to pick some value from them. I hope you have enjoyed the blog post and to add more spice to it, I would suggest you to go through How Technical SEO And WordPress Work Together and How Quora Can Help You Gain 9,000+ Users In A Month.